High Performance Neighborhood projects set ambitious goals for the design of the physical environment or the “hardware” of a community, but many formats are fairly silent on the social environment or the “software” of the community and culture. 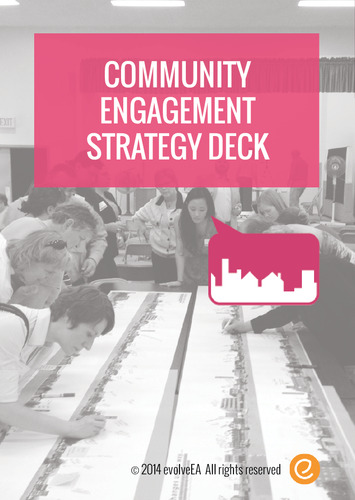 The Community Engagement Strategy Deck provides ideas and inspiration to build community capacity through the planning and design processes. These strategies change the paradigm of community participation to community activation, ensuring the success of high performance neighborhoods long after the design professionals are gone. The deck is available to Certified B Corporations at a $5 discounted price for a limited time. #BtheChange! What is the name of the B Corp you work for?